Two years have passed since the events of the bestselling Christine Falls, and much has changed for Quirke, the irascible, formerly hard-drinking Dublin pathologist. His beloved Sarah is dead, the Judge lies in a convent hospital paralyzed by a devastating stroke, and Phoebe, Quirke's long-denied daughter, has grown increasingly withdrawn and isolated. With much to regret from his last inquisitive foray, Quirke ought to know better than to let his curiosity get the best of him. Yet when an almost-forgotten acquaintance comes to him about his beautiful young wife's apparent suicide, Quirke's 'old itch to cut into the quick of things, to delve into the dark of what was hidden' is roused again. As he begins to probe further into the shadowy circumstances of Deirdre Hunt's death, he discovers many things that might better have remained hidden, as well as grave danger to those he loves. 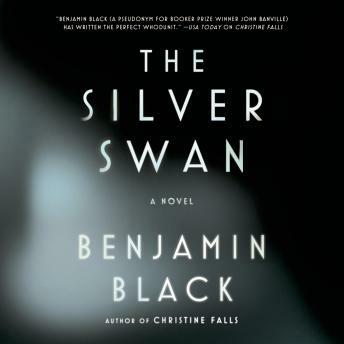 Haunting, masterfully written, and utterly mesmerizing in its nuance, The Silver Swan fully lives up to the promise of Christine Falls and firmly establishes Benjamin Black (a.k.a. John Banville) among the greatest of crime writers.